I do love bread! Although we make bread regularly in our bread maker, it's always nice to try some speciality breads. Roberts Bakery offered me some samples from their new Speciality range - a collection of artisan-style breads that are perfect for giving meals cooked at home that dining-out luxury. Available as White Sourdough Bloomer, Malted Cob, Ciabatta and Tiger Bloomer, they can be bought from Ocado and all leading convenience stores (there is a handy store finder on their website) and are ideal slightly warmed for that bakery-fresh crunch. 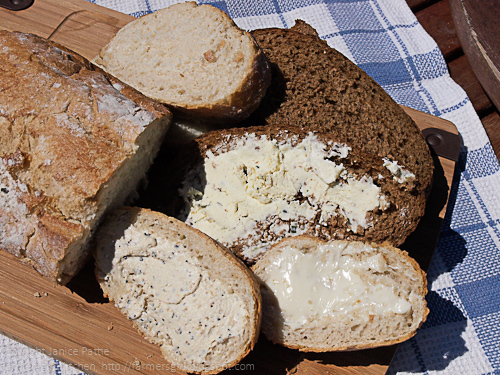 We received the Malted Cob, White Sourdough Bloomer and Tiger Bloomer to review. 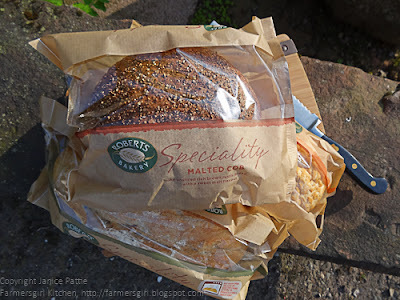 The bread arrived mid-week and we got stuck into the Malted Cob straight away, it had a rich, sweet flavour which was fantastic with cheese. I froze the White Sourdough and the Tiger Bloomers so that I could use them at the weekend. They both crisped up beautifully in the oven. Roberts Bakery have some great recipes using bread on their website. I decided to make this recipe for Zingy Lemon Chicken. It was so simple to make, but tasted incredible, the lemon really is zingy, it also tenderises the chicken, and the crunch of the crispy bread cubes on the top adds texture. 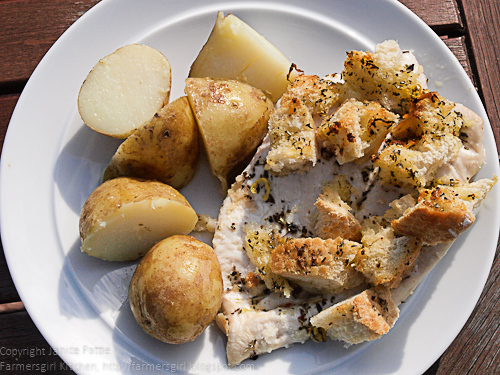 Carefully butterfly cut the chicken breasts to open into two halves. 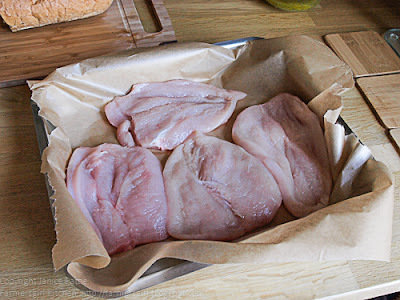 Place the chicken breasts on a roasting tray lined with greaseproof paper. Rip the bread into small pieces and mix with the chopped herbs. 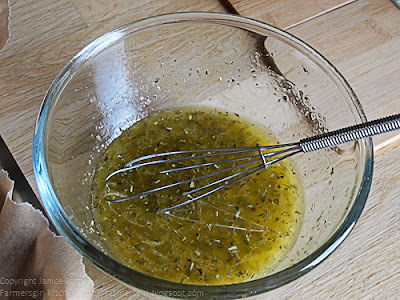 Mix the olive oil with the juice and zest of both the lime and lemon. 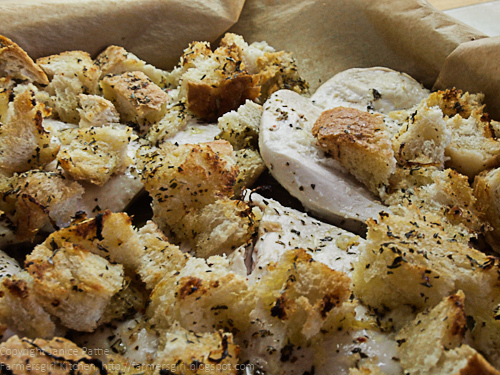 Sprinkle the bread topping over the chicken, then drizzle with the zingy oil. Place in the oven at 180°C/Gas Mark 4 /356°F for 10 minutes and check that the chicken is cooked through before serving. 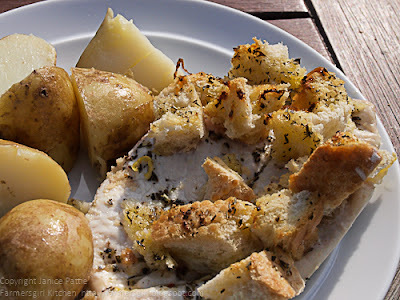 Serve with new potatoes and a crisp green salad. I'm planning to make this recipe again next weekend when I have visitors, it was a real winner. Thanks to Joanne for the Roberts Bakery loaves. I was not paid for this review and all views are my own. What a fantastic idea for using bread. I love lemon and chicken too and thus just looks like such a fab summery recipe. I bet the aroma whilst cooking was gorgeous. Love the bread too. I could live on bread and cheese alone! The artisan bread looks great. Love sourdough, probably my favourite bread. I never cooked chicken with bread like this, very original. I'm bookmarking this recipe - it looks so simple to make and delivers super, strong flavours!